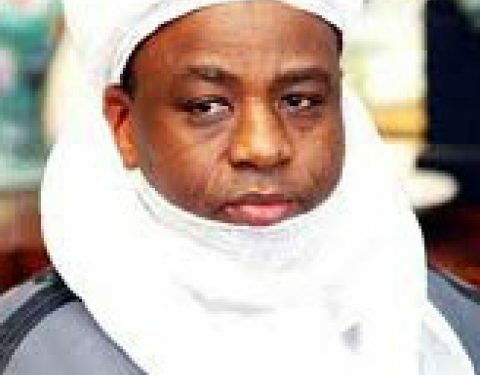 The Economic and Financial Crimes Commission, EFCC, is investigating a series of questionable transactions into the account of Kabiru Tafida, the chief of staff to the Sultan of Sokoto, Sa’ad Abubakar III. Sources at the EFCC told DAILY NIGERIAN that Mr Tafida, who holds the title of Sarkin Fadan Sokoto, was briefly detained by the anti-graft agency and later freed on bail on Tuesday. According to the sources, the Nigerian Financial Intelligence Reporting Unit, NFIU, flagged the account, following transfer of N700million in two tranches from Sokoto State government into the account. Upon investigation, Mr Tafida allegedly confessed that the money was meant for the purchase of a house for the Sultan in Abuja. “We suspect foul play as the money was lodged into a personal account instead of the Sultanate Council’s account,” said an operative who pleaded not to be named. Investigators further said there were other questionable lodgements into Mr Tafida’s account from “other sources”, which the commission is investigating. Reacting to the story in a statement in the early hours of Thursday, Imam Imam, the spokesman for Sokoto State governor, Aminu Tambuwal, said the money was captured in the budget and due process was followed in the “execution of the matter”. Mr Imam also provided council extracts and other documents to buttress his point. The attention of Sokoto State Government has been drawn to rumours making the rounds as to the nature of approval given for the purchase of house and office accommodation for the Sultanate Council in Abuja, Federal Capital Territory.